Colt Single Action .45, Centennial Commemorative - Together, We Make Memories! Arizona Territorial Centennial Commemorative. 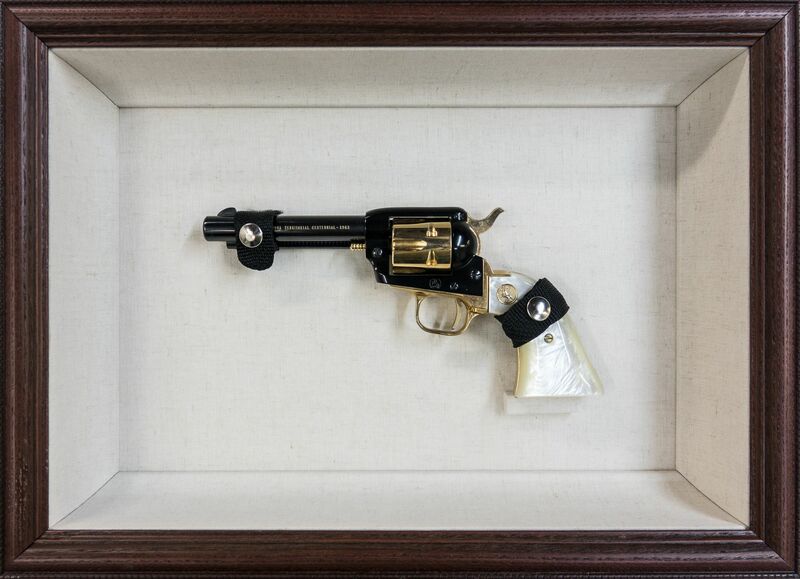 Colt Single Action .45 LC caliber revolver, 1963 issue. One of only 1280 made. Shadow box of hans wrapped Belgian linen, walnut-stained traditional oak moulding, no glass.